Agent Lady Rose. A theme from a 70s TV series about a beautiful classic female agent saving the world from the bad guys. A TV series that never existed. It is all something I made up. And naturally such a TV series needs theme music. This is my idea of how the music would sound like. Inspiration comes from music by composers like John Barry. 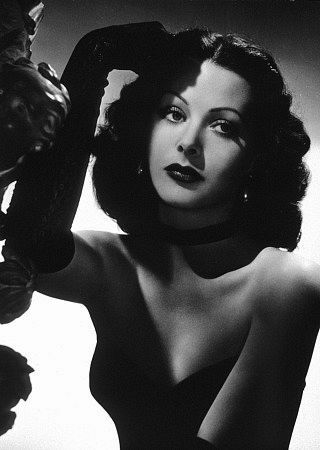 It was a coincidence that i found a picture of Hedy Lamarr. She was a really beautiful woman. And when I read about her she turns our to be a mathematician and inventor also. She invented some of the basic frequency hopping techniques that are used today in e.g. wireless networks. What a surprise. I did not know that when I picked a random photo from the net. Perfect character for my Agent. Sad she is dead now. Maybe my wife could play the part ?? !